The VAIO X series combines style and durability into an ultra-portable package. Sony Australia has just unveiled its latest VAIO notebook at the company's 'Secret Garden' media event at Sun Studios, Sydney. A large range of games, gadgets and home entertainment devices were showcased at the event, but the mysterious 'VAIO X' notebook arguably stole the show. This ultra-portable notebook weighs just 700g and measures less than 14mm at its thickest point, making it one of the smallest and most lightweight options on the market. (By contrast, the celebrated Macbook Air is 19.4mm thick). It comes with an 11.1in LCD display rumoured to have a native resolution of 1,366x768 — not too shabby for a notebook of its size. To introduce the VAIO X series, Sony VAIO & Personal Audio marketing manager Kent Tanigaki produced a small manila folder with the notebook tucked inside — a stunt similar to the one Steve Jobs pulled when unveiling the MacBook Air. However, Tanigaki went one better than Jobs — he dropped the folder and stood on it! Sony is touting the VAIO X as the toughest notebook in its range; a feat made possible by its carbon fibre lid and magnesium alloy chassis. Both shock resistant and able to withstand immense amounts of pressure, the VAIO X is tailor-made for users who lead rough-and-tumble lifestyles. 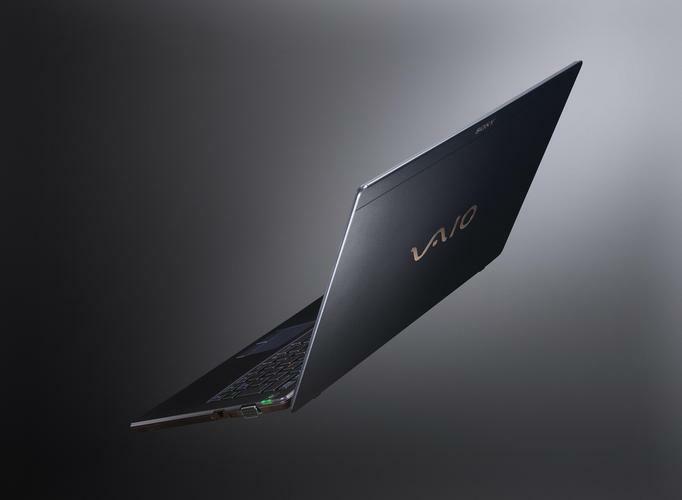 While there were no concrete statistics on how tough the notebook is, a VAIO product specialist confirmed that "it can withstand a fully grown man’s weight” while still switched on. We were fairly impressed with our brief hands-on time with the VAIO X. The keys are quite small and will probably take some getting used to, but the same thing can be said of most similar-sized notebooks. In any event, they felt responsive and tactile to the touch (this is a Sony notebook after all). One thing we were a little skeptical about was the trackpad — it’s truly tiny. We’re unsure how severely this will affect the VAIO X’s usability, as we weren’t allowed to switch the notebook on. Sony was incredibly tight-lipped about the VAIO X series — they’re saving all the juicy details for an official announcement in early October. Subsequently, we don’t know anything about the components other than the fact it runs Windows 7 (overseas reports make mention of an Atom Z550 single-core processor and 2GB of memory, but only time will tell whether these appear in the official production model). For connectivity, the VAIO X comes with a VGA and Ethernet port, a WWAN SIM slot, an SD/Memory Stick slot and a pair of USB jacks. This seems to put it squarely in the 'netbook' category, but this will obviously depend on what's beneath the hood. Stay tuned for our in-depth review, coming soon. In the meantime, you can check out our slideshow gallery from the event.